The overall aim of the SENSES project is to make climate change scenarios more accessible, understandable and actionable by using advanced interactive visualizations. In order to meet the needs and expectations of a wide community, we collaborate closely with different stakeholder groups. The project started in late 2017 and will run until 2020. The SENSES project investigates potential socio-economic futures in the face of climate change and how this knowledge can be made accessible to a broader public. 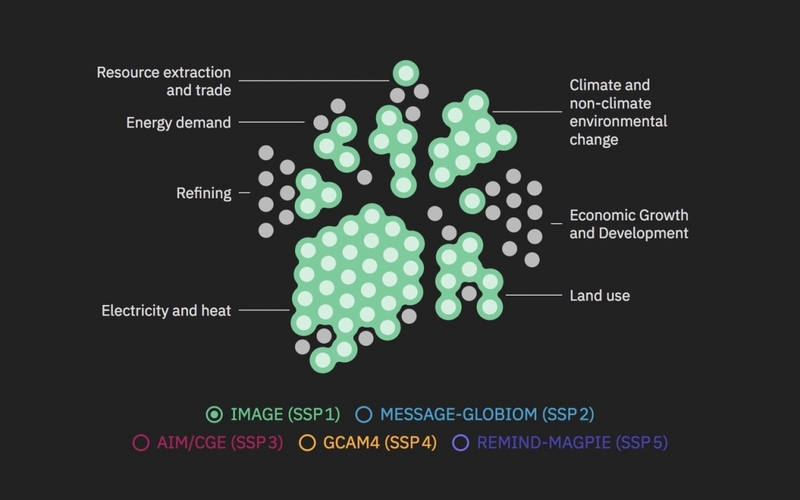 SENSES will develop tools and approaches to make the new generation of climate change scenarios more comprehensible, culminating in a climate service for decision makers. We will identify central needs for this step in a co-creation process between scientists and decision makers from policy and business. The team of designers and developers at the Urban Complexity Lab will create interactive data visualizations that will make the climate change scenarios more accessible, understandable and actionable. Climate change projections are projections about different components of the climate system to the future. They provide information (e.g. temperature, precipitation, extreme events) on how the climate system would evolve for specific preconditions, e.g. level of CO2 concentration. 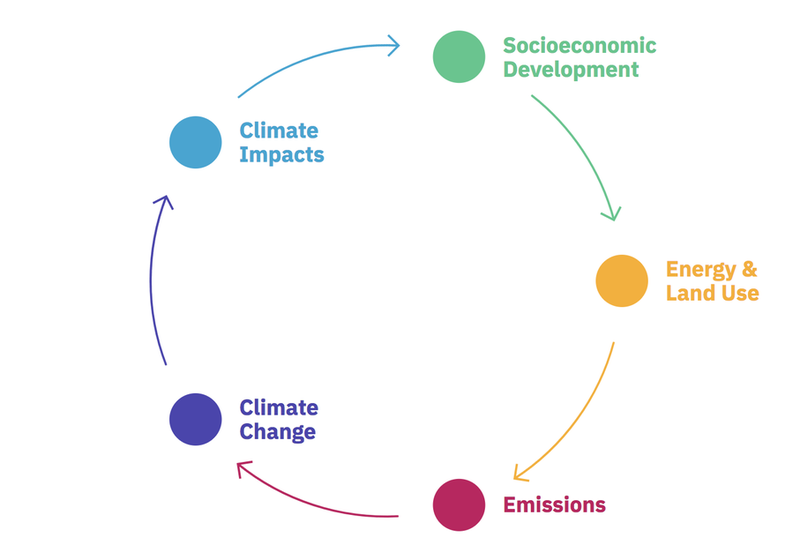 Climate impact scenarios are scenarios about potential impacts of climate change. They take into account various affected sectors like the water, agriculture, fisheries, marine ecosystems, coastal infrastructure sectors. Climate change projections are used as input for climate impact models to calculate e.g. changes in maize yields. Climate impact scenarios also depend on assumptions about future socio-economic developments (e.g. population, economic activity, technological progress etc.). 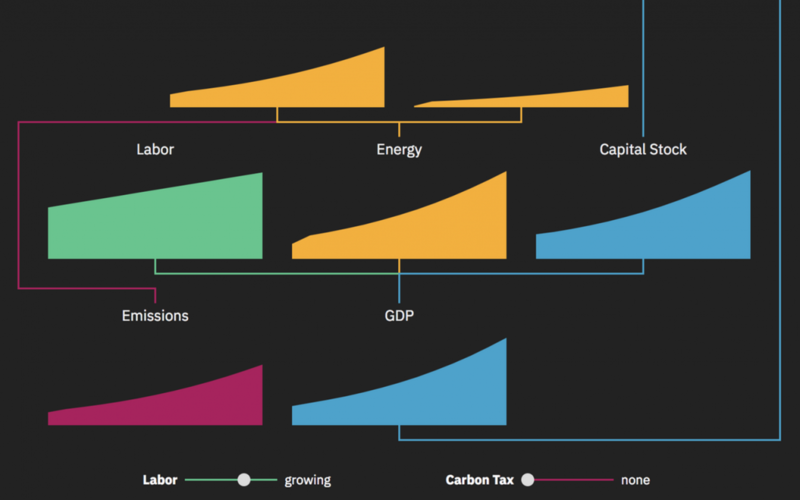 Climate impact scenarios provide data (e.g. potential damage, floods) on how the world could look like if specific warming scenarios take place. Mitigation scenarios These scenarios are meant to describe possible solutions to mitigate climate change. 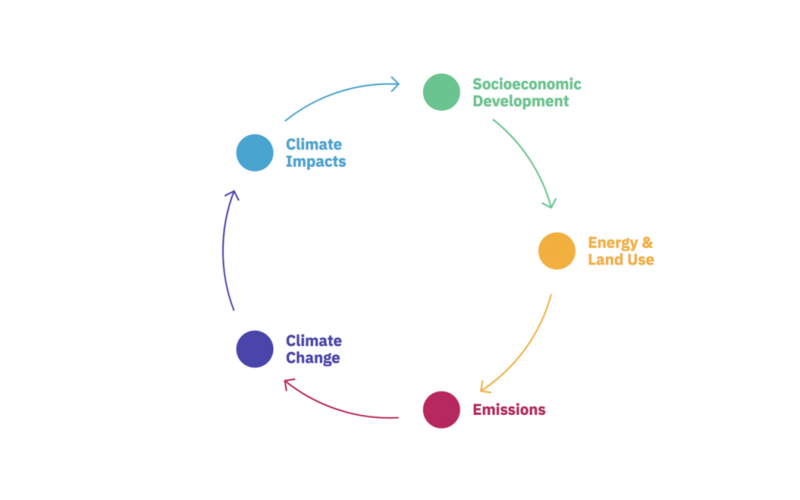 They delineate possible futures about the development of energy, economy, land use and emissions in the world, which are constrained by the fact that the global mean temperature will not exceed an explicit increase (e.g. 2 ° Celsius). As a reference case also scenarios with no or weak climate policies are generated. 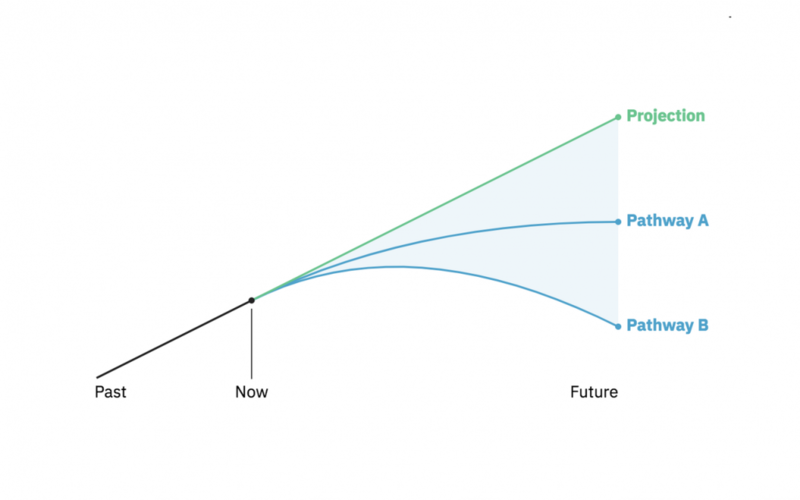 All of these scenarios depend on assumptions about future socio-economic developments (e.g. population, economic activity, technological progress etc.). Mitigation scenarios and the corresponding reference scenarios provide information (e.g. 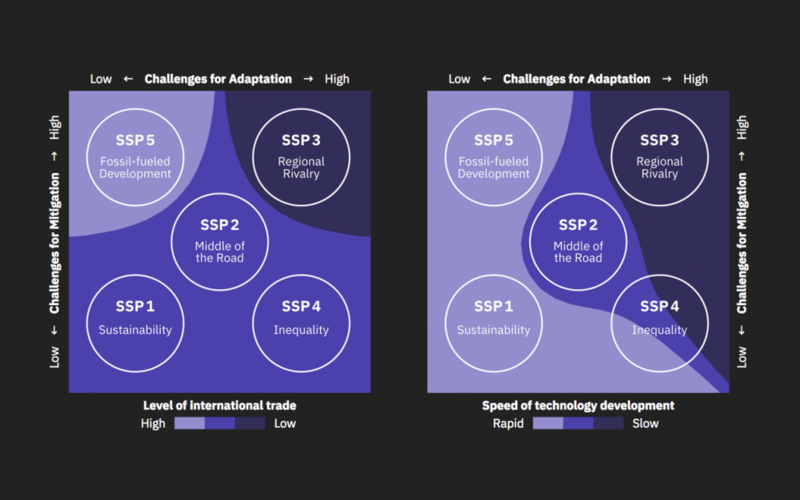 macro-economic investments, technology costs, land use, greenhouse gas emissions) on how the social and economic system could look like for different levels of climate change mitigation. The consortium of the SENSES project has internationally recognized expertise in climate change scenario research and design and visualization techniques, and large experience in working with the user groups targeted in this project. Climate Change Scenarios are not predictions of the future, but rather projections of what can happen by creating plausible, coherent and internally consistent descriptions of possible climate change futures. 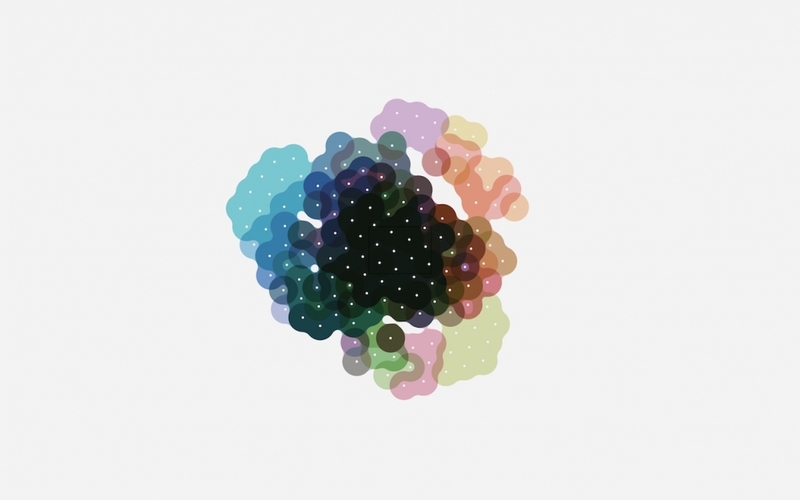 In the Primer, we explain what they mean, how they work and how they are developed. Our App allows you to visualise the history and possible futures of CO₂ emissions in Augmented Reality. 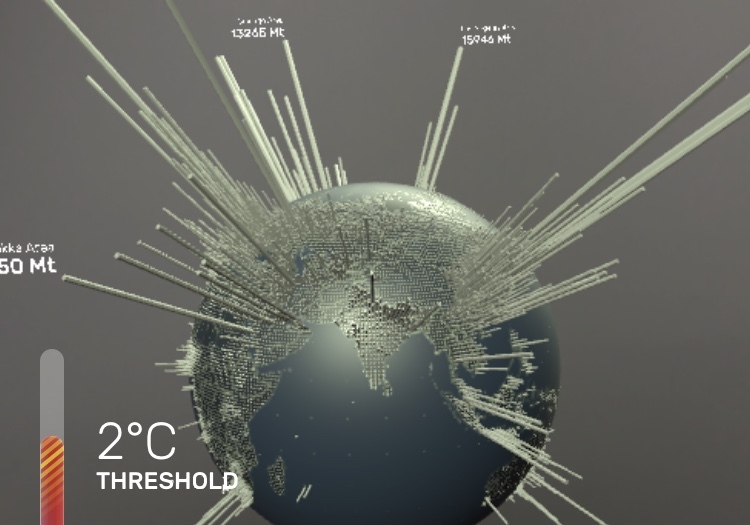 Based on the animated short movie “A Brief History of CO2 Emissions”, we took the data and the visualisation and brought them to Augmented Reality. The App is available in the iOS App Store.